The final credits have rolled on the tumultuous Melanie Barnett-Davis and Derwin Davis saga that has mesmerized us since 2006. Black Entertainment Television (BET) terminated Tia Mowry and Pooch Hall from “The Game at the end of May;” their sometimes adorable, sometimes dreadful story line ended in the season finale last week. Though BET has renewed the popular “Girlfriends” spin-off for another season according to HipHollywood.com, it will not feature the instrumental characters – though we should keep our fingers crossed for possible guest appearances. To pour alcohol into a sore wound, Rocsi and Terrance J, hosts of BET’s 106and Park: Top 10 Countdown, were fired from the network as well, leaving the future of the show in limbo. Stunning is an understatement. BET compiled toxic chemicals into a small bottle and let it explode without regard for the emotional carnage left behind. The dismissal of four of the most popular figures on the network extinguishes the hope that most viewers, me included, have held for months. Through the de-evolution of “The Game’s” characters and the introduction of TJ Holmes as the black Jon Stewart, the faith that BET could rejuvenate, reorganize, and restructure persisted. But that faith in a revived killer line-up has dissipated. And all former fans of the network are left with are the memories of what used to be. Memories. Like Mo’Nique’s “uh-oh” entrance at the 2007 BET Awards or Aaliyah’s “Rock the Boat” Access Granted special. Remember the devastation of Hurricane Katrina and the 12-hour relief marathon that seemed to lift spirits while bringing us closer together? Or what about Michael Jackson performing with James Brown and even donning him with the signature robe? These memories span generations and transcend time. But what happened to that BET? In the late ‘90s and the early 2000’s, BET was it! With a mixture of intellectual programming including BET News and Teen Summit, thought-provoking AIDS specials and documentaries, and entertaining shows like Hits from the Street, Cita’s World, and Rap City: The Basement, most teens couldn’t stop watching – especially after Aaliyah’s final public appearance on 106 and Park. We waited for those historic BET Awards moments, cried during the tragic Katrina coverage, and rejoiced when Celebration of Gospel filled us with the Spirit. In essence, millennials were raised with BET. There was a time when BET firmly represented the various dimensions of African American culture. Although Uncut was controversial, for the men and women who spend their weekends in strip clubs, it was a viable late-night viewing option. 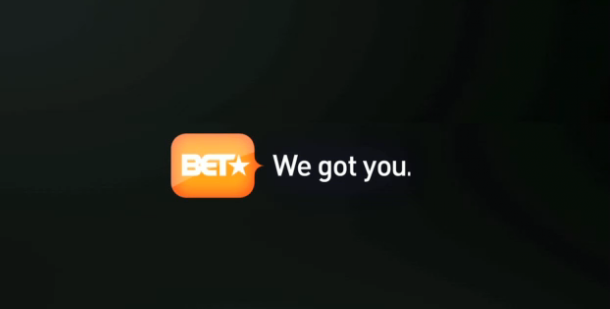 It is impossible for a network as popular as BET to decline seemingly overnight without contributing factors. Some blame the lack of original programming in exchange for the dreaded BET Blackbuster movies on the sale of the network to VIACOM while others think Debra Lee, the CEO, is responsible. But as a viewer, all I want to know is what comes next? Memories are only satisfying for so long before we have to create new ones. So as we feast on the memories of Will and Jada Pinkett-Smith hosting the BET Awards and Whitney Houston performing her greatest hits catalogue as the first recipient of the legacy award, all we can hope is that BET will replenish this meal before we’re forced to begin creating memories elsewhere.